One of the questions that often comes up is how does an inbound marketing strategy and the marketing mix work together? Or do they? To some, the old concepts of marketing are no longer valid and everything is simply reliant on social media and having a responsive website. But some principles never change and one of those is that you are trying to reach people, not machines, with your marketing efforts. Did you know that mind can remember around 7 things without too much juggling. 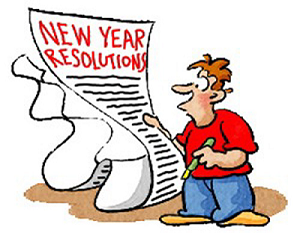 Let's think about the fact that New Year’s Resolutions are around the corner. So now is a good time to look at your business plan to see what you need to do to create an All Year’s Resolutions checklist of your marketing mix of media platforms. You might not apply all this to your business, but I promise you will find things you need to think about. 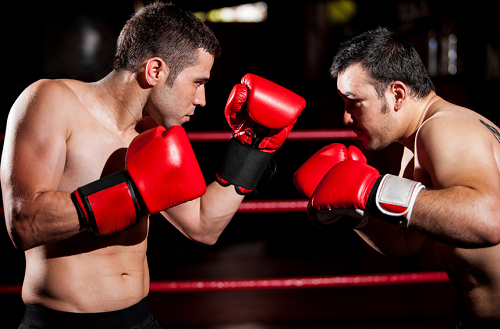 Do you know that there is another entirely different kind of marketing mix? 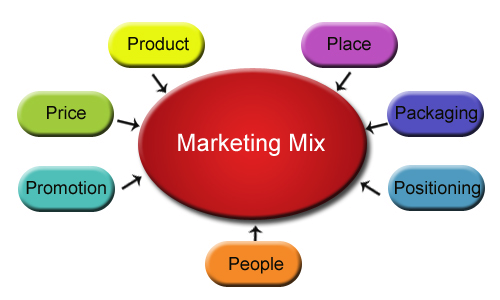 We have covered the 4 Ps, two sets of 7 Ps, and a separate discussion of the P for People; but before we close the subject of marking mix we need to look at a totally different definition of marketing mix. 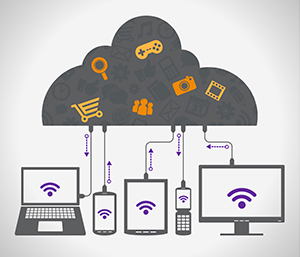 Have you considered the marketing mix of using different media sources to market a product? What do most sets of the marketing mix containing 7 Ps include? 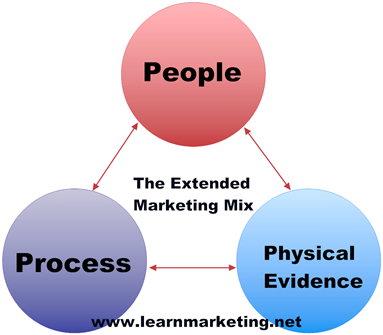 In the last two blogs you saw two sets of the three items within the marketing mix 7 Ps. One set included: packaging, positioning and people. The other set included: process, physical evidence and people. You guessed it. Both marketing mix groups include “people.” At this point we are not talking about your customers, but the people in your organization that are a part of giving service or delivering products. Let's look at an example. Do you go there because people know you and are glad to see you? Perhaps you go there because you know you will get good service every time you go. You might go because you know that you will receive the same good quality meal. A restaurant offers both service and products that are reasons why you go there, or not. Both service and product are delivered by people. The marketing mix P for people is based on Customer Relationship Management (CRM) and the relationship with people that your client or customer deals with at the company. Your business person can recruit a customer, retain that customer and encourage your customer to remain a customer in the future. This is where people underpin the long-term customer relationship. Let’s look at some ways that those people working for you add value to an experience as a part of the marketing mix. We will examine training, types of sales personnel and customer service. When we looked at the marketing mix in previous blogs we talked more about actual products, but can the marketing mix work if you perform a service as your business? First thing we need to do is set the stage by looking briefly at the five characteristics that make a service: Lack of ownership, Intangibility, Inseparability, Perishability and Heterogeneity. I can see you scratching your heads so let’s spend a little time discussing these. Lack of ownership-You don’t own a service and you can’t put it into storage like an actual item. Services are used or hired. For example, a painter comes to your house to give the outside a fresh coat of paint. His service lasts until he finished. While you now have a good looking house, you cannot take the painter’s work home with you. Intangibility- You are not able to hold or touch a service like you could a can of paint. A service is something that the customer experiences. Experiences are not physical things. Inseparability-You cannot separate the service from the service provide. If you sold widgets, people could buy one and take it home. But you need the service provider to do what you need done. You needed the painter to paint your house. Perishability-Services last a specific amount of time and you can’t store it to use later. Think electric company. You can’t save the electricity although you can save money by taking certain measures. Your electricity started on a certain date; and if you don’t pay your bill, it will be cut off on a certain date. Heterogeneity-Businesses have systems and procedures they follow to provide consistent service, but is very hard to make each service experience the same. It’s like two identical plane trips may be different because of things like the weather and the screaming baby that are beyond the airline’s control. 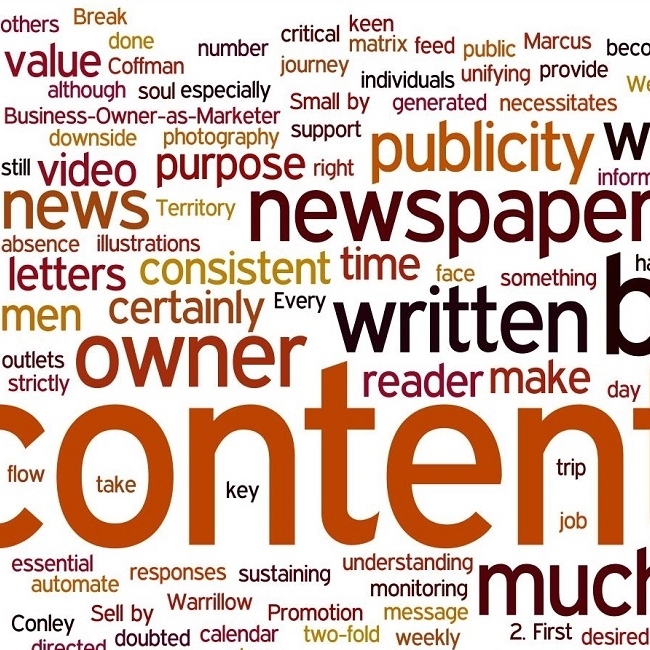 When it comes to your marketing mix you need to mind your Ps and Qs, or at least your Ps. 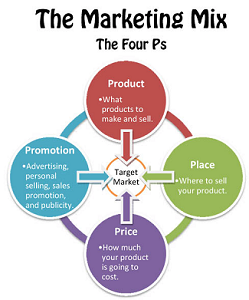 We have spent a lot of time talking about the 4 Ps of the marketing mix, but there are 3 more Ps that are often mentioned in addition to the first 4 Ps. One set of the next group include packaging, positioning and people. Product- Based upon the marketing mix strategy, what products and or services fit your business? On the service side, perhaps you own a 24-hour emergency service that arrives at the home within 30 minutes. On products, your business decides to carry and use top grade Kohler plumbing fixtures. 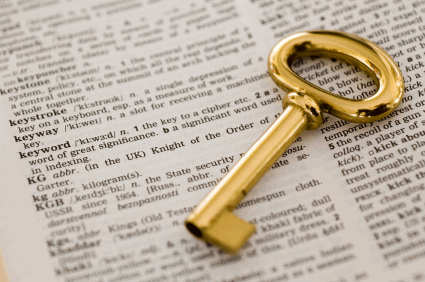 Using an online marketing mix strategy, you could offer a free e-book to educate the homeowner about the value and benefits of these products and services. Price- What's your Price position in the market? Based upon the target market you've chose, are you the discount provider, mid-range, affordable option, or the premium price business? The Denver Plumbing business operates using premium pricing in their marketing mix. Place- Place is both where you offer your products and services, and where you will market your business. Going back to the Denver Plumbing business, they target the South Denver Upper Income neighborhood to provide their services. Many of these homeowners are busy, two-income professionals who use the Internet, social media, and mobile phones to locate local businesses. It makes sense for this business to use online marketing as well conventional means to reach these homeowners. Promotion- What media will be used to deliver your marketing message? The Denver Plumbing business decides to use paid online ads, search engine optimization, and social media to spread the message about their products and services online. 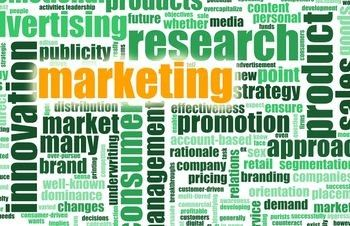 What is an Effective Marketing Mix Strategy? Your company has a vision and mission. Being able to develop a strategy using the marketing mix module will make it easier for your company to achieve its goals. Creating an effective strategy will allow you to achieve this success in a reasonable period of time. By designing a marketing mix strategy, you will be closer to having a complete synergy of what you need. You might want to start by learning the basics in a marketing mix strategy that you can apply to your company so that you will come out ahead of your competition in the search engines. Are you a small or medium size company that is short on time and resources to develop and implement a marketing plan? Or maybe you are struggling to put together the right marketing mix for your product?